Saint Francis Medical Center welcomes Joseph C. Dwyer, MD, FACC, as a new Medical Partner and cardiologist at Cape Cardiology Group. This experienced cardiologist joins six other expert physicians at this growing Cape Girardeau practice: Paul H. Holcomb Jr., MD, FACC, FSCAI; William K. LaFoe, MD, FACC, FSCAI; Duc T. Nguyen, DO; Rebecca L. Smith, MD, FACC, FASE; and Clifford R. Talbert Jr., MD, FACC. In addition to his time at Cape Cardiology Group, Dwyer will also treat patients at outreach clinics. 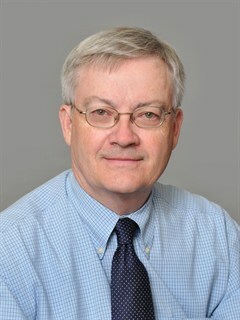 Dwyer, who is board certified in cardiology and nuclear cardiology, has more than 35 years of cardiology experience, with special interests in noninvasive cardiology and echocardiography. He earned his medical degree from Saint Louis University School of Medicine in St. Louis. He completed an internship in internal medicine at the Hospital of the University of Pennsylvania in Philadelphia, a residency in internal medicine at Barnes-Jewish Hospital and Washington University School of Medicine in St. Louis and a fellowship in cardiology at Saint Louis University Hospital in St. Louis. For more information or to schedule an appointment, call Cape Cardiology Group at 573-331-3333.